​downtown Traverse City, in northern Michigan. We've been voted #2 for the top 10 Northern Michigan Lighthouses by Traverse Magazine's Red Hot List! Old Mission Peninsula is fortunate to have a lovely little lighthouse at the end of the peninsula that is visited by many lighthouse geeks! We ranked on the list of favorites Northern Michigan lighthouses for 2018. Kudos to our neighbor Brys Estate Winery! Brys Estate on the Old Mission Peninsula has landed on the annual list of top 10 Hot Brands as selected by Wine Business Monthly magazine. The top 10 list is compiled from 8,000 wineries across the country. This is the 3rd Lighthouse label and Bower's Harbor sells coasters and prints with the artwork too! Makes a great gift. 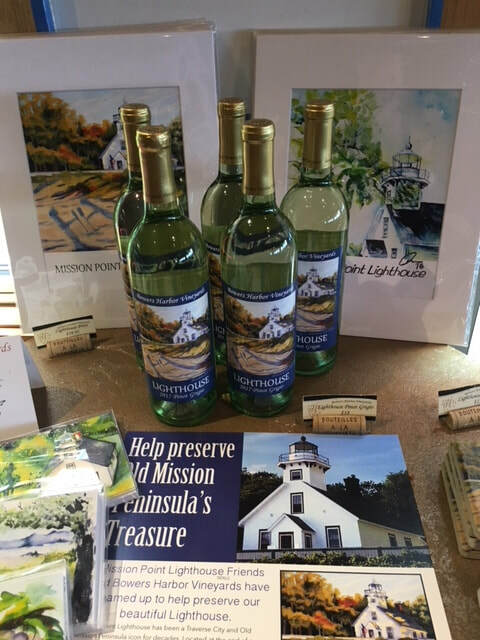 Mission Point Lighthouse wine with the 3rd Annual Art Label design is available now at Bowers Harbor Vineyards and to order at their website. Prints and coasters with the beautiful watercolor artwork are also available. It's a limited release Pinot Grigio (to benefit Mission Point Lighthouse preservation-our non-profit Mission Point Lighthouse Friends). Check out the June 2016 issue of Traverse magazine for an article about being a keeper at Mission Point Lighthouse! Get the inside scoop about being in charge of this unique Lake Michigan getaway. 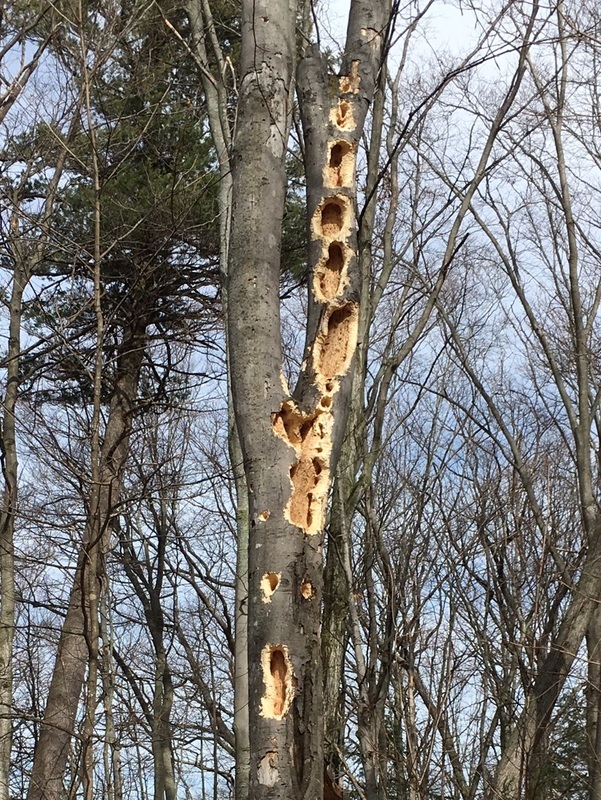 Proof that the pilated woodpecker was busy finding bugs in the dead trees in our park. Several dead trees along the trails look like these.